The Special Artist's Handbook, 2nd Edition contains more than 50 colorful projects with step-by-step instructions for autistic, learning-disabled, physically challenged, and sensory impaired children. 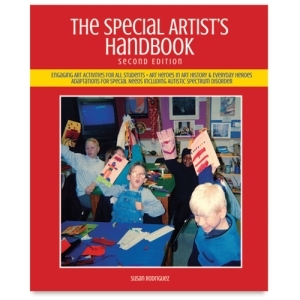 The book also includes an inspiring "Art Heroes" section featuring works by artists who have faced similar challenges. Spiralbound. 160 pages. 9" × 11" (23 cm × 28 cm).